The Cricut Circle is holding a challenge in which we were asked to make a pennant to represent our states, provinces, or countries. 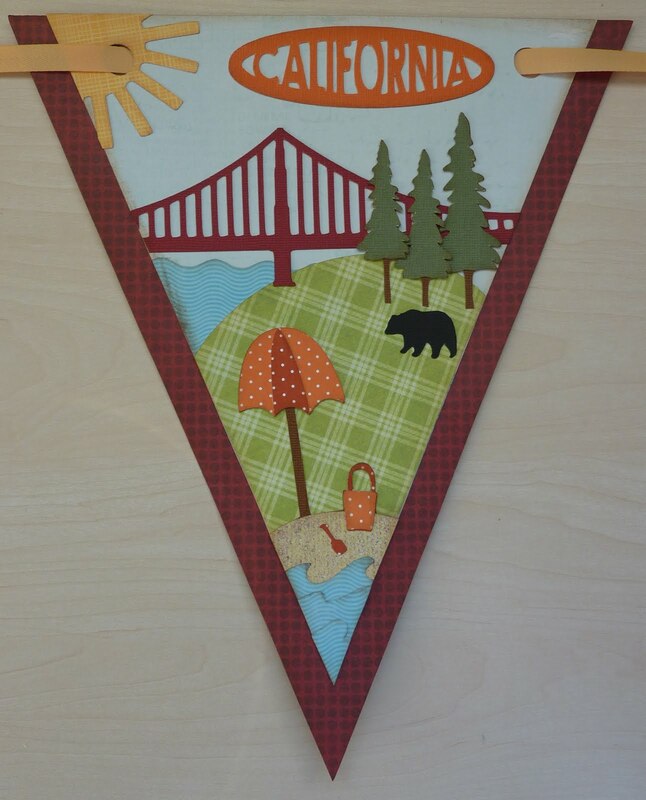 I had a great time creating my California pennant! I used Birthday Bash for the pennant shape itself. The sun is from the Creative Memories Cheerful Seasons cartridge. 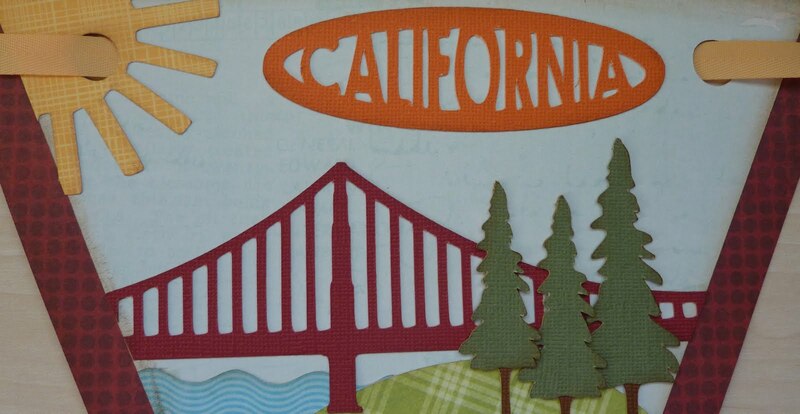 Both the title and the Golden Gate Bridge are from the Destinations cartridge. 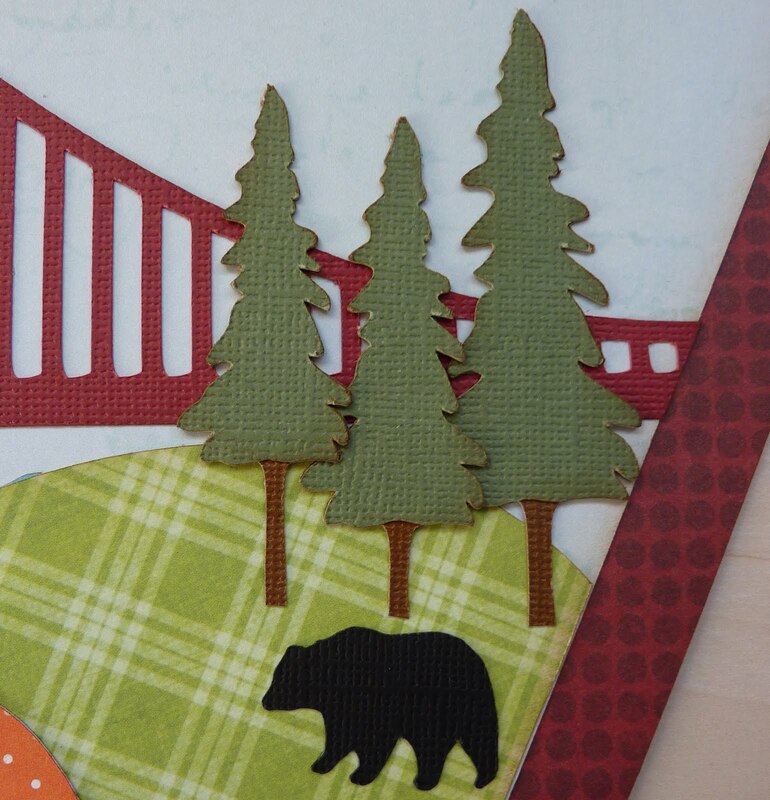 The redwood trees are from Gypsy Wanderings, and the black bear is from Camp Out. 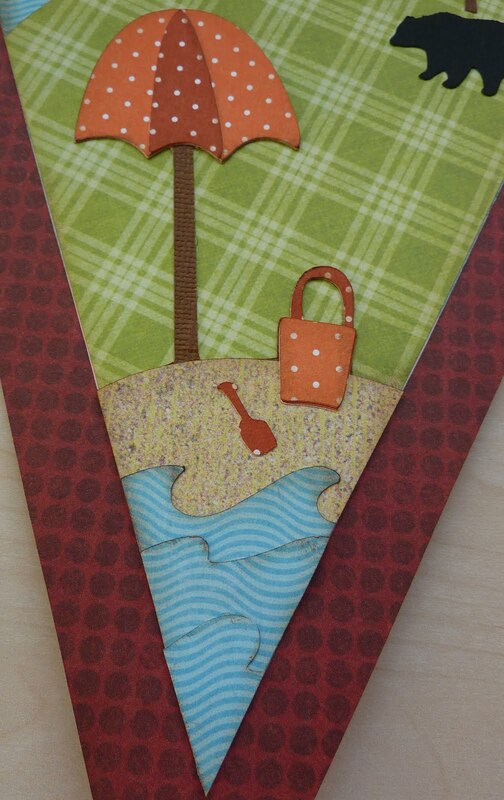 Lastly, the beach scene is from Pack Your Bags. This is great, I love all the images you used!! Nice Banner I sent one in also. Love the colors and your images. I LOVE this!!! It really represents our state perfectly!!!! Katie your project is beautiful... good luck..
Katie this is just perfect. I love it. Good Luck on the Challenge. What a great pennant! Love the details! Super cute Katie! I love it! I must have missed this challenge! This is darling! Love all the details. Yay California! Can't wait to see what you are making for your school room. I teach HS so not as much opportunity for cute things but I try in little ways to Cricut-ify my space! OMG WHAT A CREATIONS, I LOVE IT! katie, you are amazing! this is just perfect! Love it! The details are amazing. Talk to you soon! What an awesome pennant. You did a fantastic job it really represents California.